We believe learning need not happen in the classroom alone. Since experiential learning is one of the most effective learning-strategies, our outdoor training programs are the perfect weekend getaway that help people bond and get to know each other better while acquiring new skills and learning more about themselves. These are coupled with various other experiential-learning games and activities perfectly suited for interactive learning in an outbound setting. 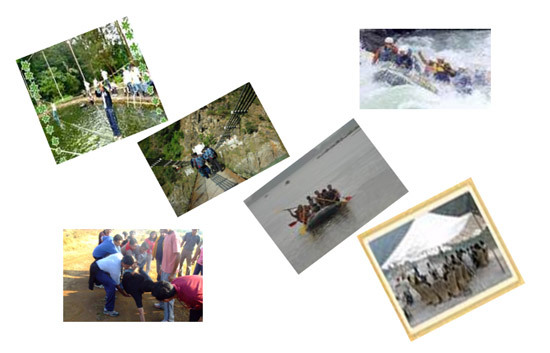 We ensure that the activities are tailor-made to suit the clients’ requirements. HOME | ABOUT US | TRAINING | OFFERING | INQUIRY FORM | CAREER | CONTACT US Copyright © 2008 VIBGYOR High, All rights reserved.